What I have always admired about Ralph Lauren is that he has continually found a way to create an entire world around his clothes, not only with the branding of his different lines, but with his restaurants and cafes that exude his classic style. 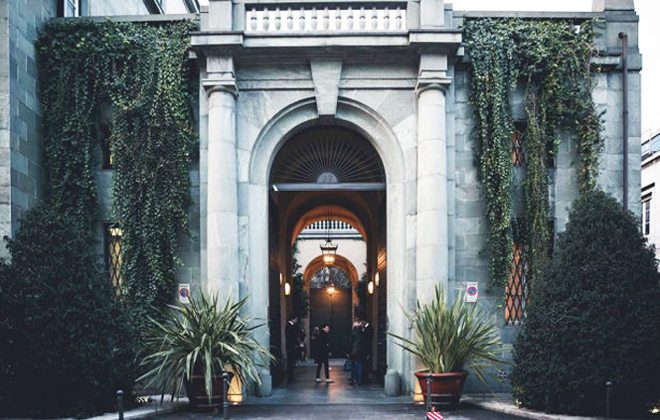 And this season the legendary American designer is definitely upping their game when it comes to timeless glamour and old world luxury with the opening of their first ever members only club housed in a private palazzo in Milan. Palazzo Ralph Lauren opened just in time for Milan Fashion Week this fall, with a private showing of their 2016 collection for an exclusive list of 300 invite only guests. 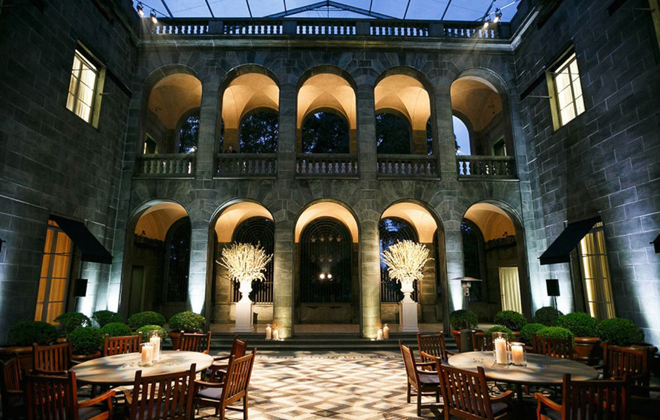 The 12,000 square foot club, which is housed in the historic Casa Campanini building on Via Bellini, was stage to the women’s wear show in the main gallery, but also boasts numerous apartments and atelier’s for all of the most exclusive Ralph Lauren labels, not to mention the in house chef and roof top veranda. I am guessing this is the entrance to the palazzo. Absolutely lovely. I wish we could see more of the interior! The club will serve as a sort of cultural hub catering to the highest level of luxury in not just the availability of exclusive lines of men’s and women’s wear, jewelry and accessories, but also in fine dining and special programing such as shows, events, and craftsmanship demonstrations. Yes! Craftsmanship! I would love to know more about their craftsmanship and who they feel is worth featuring. This looks a lot like some of his stores, but bigger. Photo by Gionata Xerra. I just love the idea of bringing back this private atelier feel to the contemporary fashion scene, making it a more personalized experience, as it was in the early days – if you went to Chanel, you went to Chanel and were fitted by Coco. Even if Ralph himself won’t be there to advise you on which Crocodile bag to pair with your new riding boots, the world he has built carries that essence enough to feel like he is. 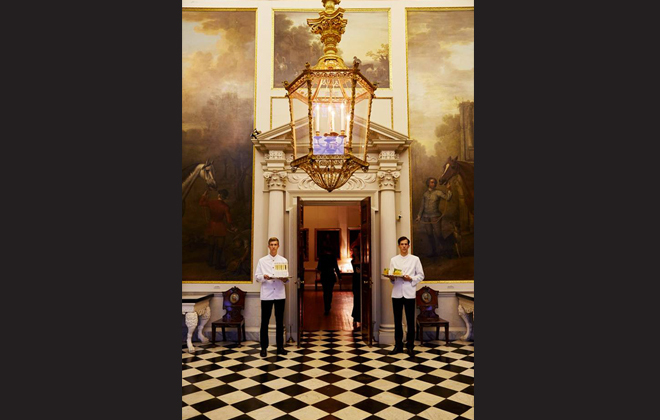 The Ralph Lauren brand has had great success with its foray into the restaurant world, so we will see how the fashion world’s contemporary and cutting edge elite will take to the luxe Palazzo Ralph Lauren. Maybe I’ll even try to make my way in on my next trip to Milan! I hear it’s not so easy. Perhaps that is why I could find so few photos of the palazzo? We shall see.